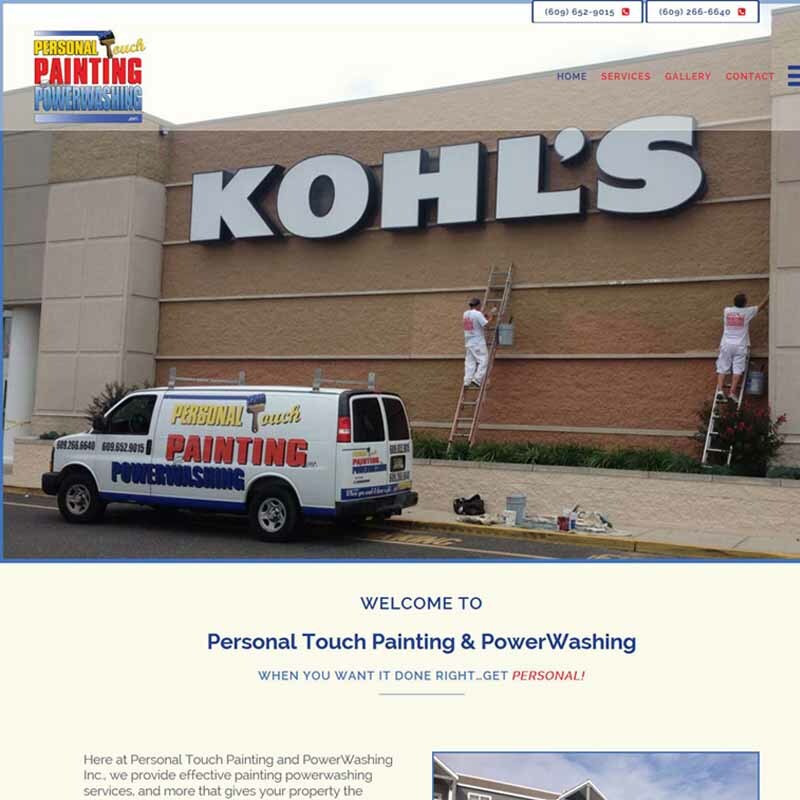 I was referred to Liz Chesul, owner of Personal Touch Painting and PowerWashing by a client. The website they had at the time was antiquated and was doing nothing for them in local searches. The goal of a new site was to have a more modern look with the ability to GET FOUND ONLINE. The new design represents their business both for their residential and commercial divisions. They are ranking on the first page in Google when searched locally; something that has never happened before. The owners are thrilled because they are now a business that can be found when their services are sought after in their local community. Everyone is happy!